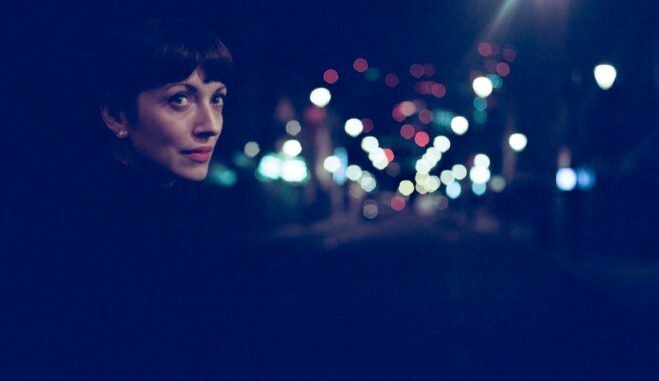 Elena Tonra from Daughter has announced details of three intimate shows she will play under her solo moniker, Ex: Re. Joining Tonra on stage will be Fabian Prynn, Josephine Stephenson and Jethro Fox, with the quartet headlining three dates in London, Brussels and Paris. Tickets go on sale today at 11 AM local time. The eponymous debut album Ex: Re is Rough Trade Shop’s Album of the Month, with an exclusive limited blue pressing of the vinyl and free CD of four tracks recorded live at Ex: Re’s debut show at Hoxton Hall, London in November 2018. Running parallel to Daughter, Tonra has assumed the pseudonym of Ex: Re (pronounced ex-ray) for her eponymously-titled debut solo album, a deeply personal record that was made with both a sense of urgency and a cathartic need. Tonra’s candid solo songs document the time after a relationship ended and are written like unsent letters. Taking on a creative moniker, she chose Ex:Re to mean ‘regarding ex’ and also ‘X-Ray’ as a way to look inside and see what is really there. Writing took a year but the recording process lasted mere months, turning to Fabian Prynn (4AD’s in-house engineer and producer) and composer Josephine Stephenson on cello to help bring Ex:Re to life.